The “fashionably old-fashioned” label fits Ehud Asherie like a bespoke suit. A knowledgeable purveyor of everything from early Crescent City swing to Harlem stride and bop to the music of a bygone Brazil, this 39-year-old pianist might initially come off as a pure throwback. But with an overlay of wit and whimsy placed atop that vast golden-age repertoire, his status as an au courant artist is ensured. 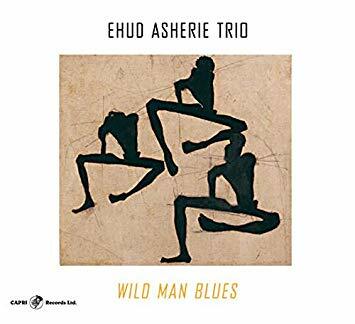 Teaming up here with the classy combination of bassist Peter Washington and drummer Rodney Green, Asherie delivers eight numbers that speak to his massive technical reserves, understanding of the continuum, gifts as an interpreter, and rightful place at the jazz piano summit. Opening with “Wild Man Blues” and “Parker’s Mood,” the trio is quick to draw a line from Louis Armstrong to Bird while distilling different shades of meaning from each. Both performances paint this outfit as easygoing, but what follows—a warp-speed “Flying Down to Rio”—dispels that notion. As the program continues, the players migrate from one scenario to another with grace and smarts. “Autumn Nocturne” envisions a placid eventide with nary a problem on the horizon; “Chasin’ the Bird,” with Asherie reconfiguring the original horn lines for his hands, retains its bebop standing while dialing things down a notch; Ary Barroso’s “Na Baixa Do Sapateiro” quickly shifts from an atmosphere of poignancy to perkiness; and “Oh, Lady Be Good,” with its mellow draw and after-hours aesthetic, calls straight out to the night owls. Then the curtain comes down with a sprightly trip through the tropics on Dizzy Gillespie’s “And Then She Stopped.” It’s a solidly sunny ending completely in line with Asherie’s retro-chic allure. Check the price of Wild Man Blues on Amazon!